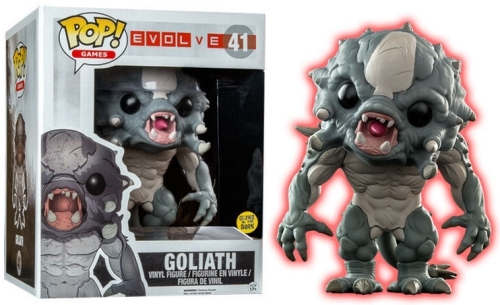 The Hunters on planet Shear come to life with Funko Pop Evolve. The set offers a full squad, just like the video game, with several planet tamers and one massive monster. Unlike most survival games, Turtle Rock Studios developed Evolve for co-op (four-versus-one) shooter gameplay, with the odds in favor of the single player rather than the team of four. 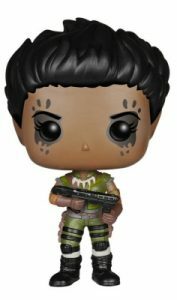 The humans—known as Hunters—are separated into individual classes based on their unique skill set, and each is represented in the Pop! set. 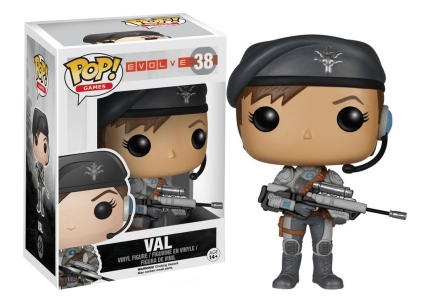 Shop for Funko Evolve Figures on Amazon. 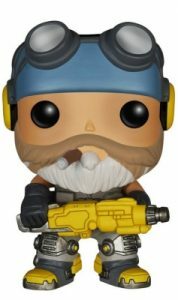 As the name implies, members of the Assault class like to get in the fight early, which is probably a reason for Markov and his lightning gun to lead off the Funko Pop Evolve crew. Val, an unlikely Medic, dons her CIG9 uniform while posing with her anti-material sniper rifle. Providing Support to the team, a bearded Hank stands with the hefty laser cutter. 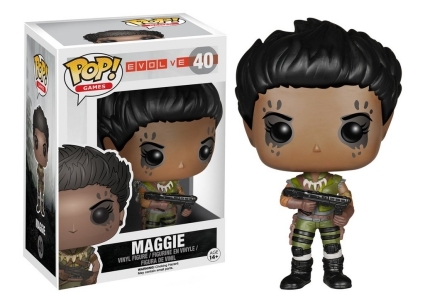 In contrast, Maggie, the Trapper, wields a small pistol. 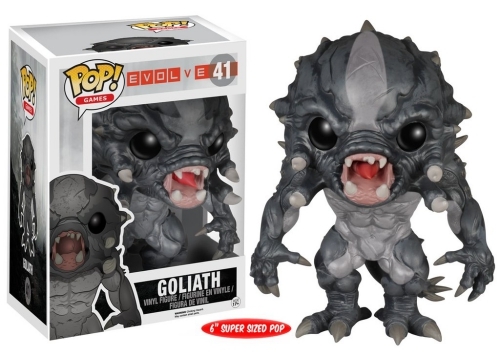 Despite being chased by the team, the Goliath Monster has no problem holding his own, which is evident by his 6" figure. 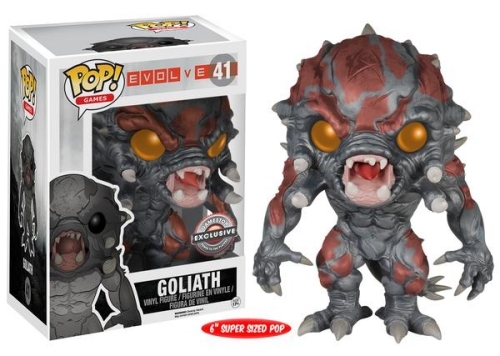 Fans and collectors of Evolve can also track down (pun intended) the Goliath glow-in-the-dark variant issued through Hot Topic. 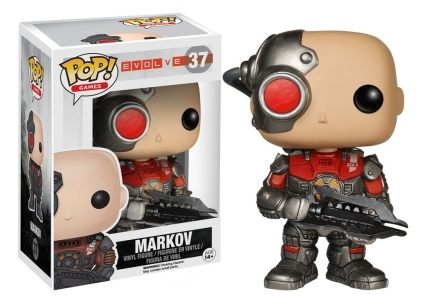 In addition, the red savage edition is exclusive to GameStop/EB Games. 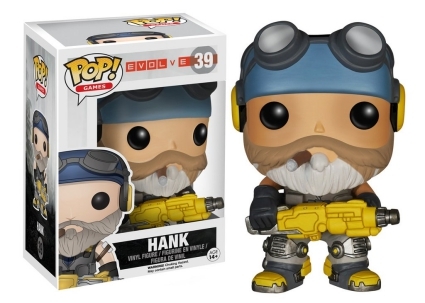 FUNKO POP GAMES EVOLVE: HANK #39 & MAGGIE #40 Brand New Plus Free Surprise Item.